Modeled after speed networking, speed mentoring offers a structured way to ask for and offer job and career advice. 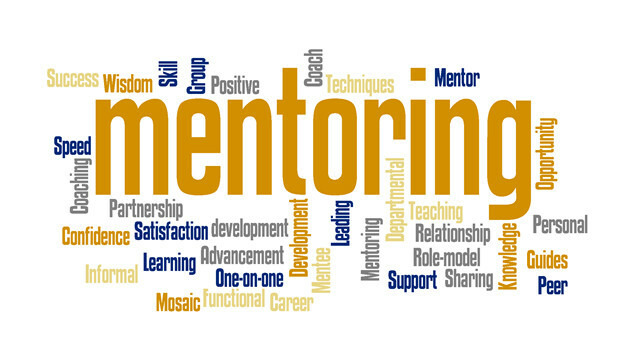 Ready...Set...MENTOR! Modeled after speed networking, speed mentoring offers a structured way to ask for and offer job and career advice. In 3-minute 1-on-1 conversations, a mentee poses a question about a job/career situation to a mentor, and the mentor offers advice. After 3 minutes, the mentee-mentor pairs switch. After up to an hour of 3-minute conversations, there will be additional time for general networking. If you have ever wanted to try out being a mentor or a mentee, this is no-commitment, fun way to do it. Attendees will have a chance to try out both the mentor and mentee roles. Please note that this is not an ongoing mentorship program but is a one-time event. Of course, if a certain mentor-mentee pair hit it off and want to stay in touch after the event, they are absolutely welcome to do so! We will have finger food and non alcoholic drinks at the event. Members only through Friday, April 13th after which any unsold tickets will be made available to nonmembers. This event is being organized in collaboration with the Harvard Club of Silicon Valley, which is hosting a Silicon Valley version of this event around the same timeframe. Members who find their venue more convenient are encouraged to sign up for their event here. Our venue requires visitors to fill out a non-disclosure agreement (NDA). Instructions for the e-NDA will be emailed after you register.